ACTION ALERT! 'Tis the season to boycott Wendy’s! As Wendy’s leaders get ready to wind down and celebrate this holiday season, the tens of thousands of people who harvest the company’s produce will continue working without the unprecedented protections of the Presidential Medal-winning Fair Food Program. Until farmworkers in Wendy’s supply chain are guaranteed fair wages, justice and dignity in the fields, we will be here. And we’re putting our commitment in writing! 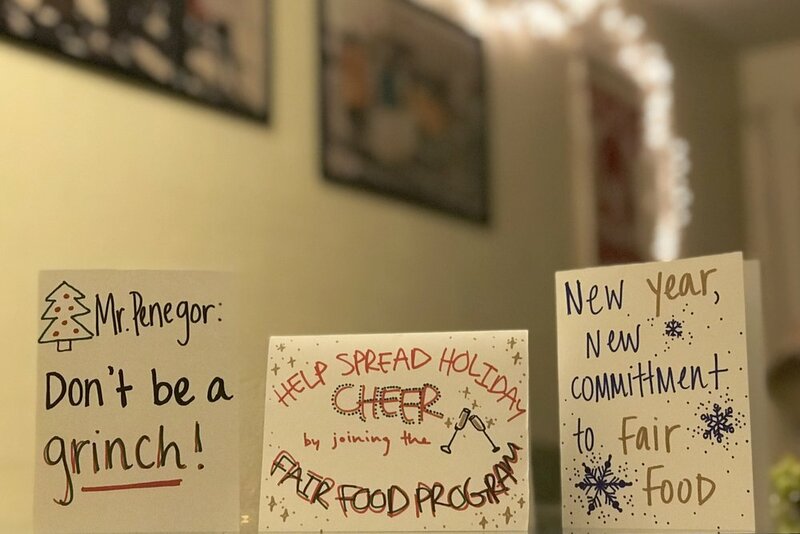 This month, the Fair Food Nation is making the call for a mass mail-out of holiday cards to Wendy’s CEO Todd Penegor. Join us in reminding the company’s top executive of the burgeoning national boycott that is tarnishing the Wendy’s brand and reputation. This holiday season, organize a festive #BoycottWendys card-making party with your Fair Food group, congregation, Student/Farmworker Alliance chapter, friends and family! The more the merrier as we come together to send Wendy’s CEO a powerful and unified message: Until you guarantee farmworkers’ human rights in your company’s supply chain, we will continue to boycott your restaurants! Make sure to craft your holiday card to Mr. Penegor with a Wendy’s Boycott surprise and double the impact by uploading your card to social media using #BoycottWendys and posting to this Facebook event. Don’t forget to tag @Wendys! Looking for creative ideas? Check out some fun templates and examples below! Ally Corner: Reading, and writing, about the Fair Food Program!